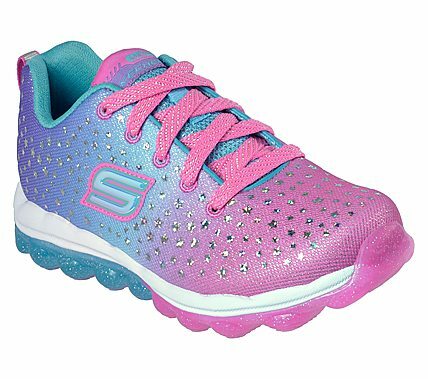 Cruise the cosmos in air cushioned sporty style and comfort wearing the SKECHERS Skech-Air - Star Dreamer shoe. Skech Knit Mesh fabric upper in a lace up athletic walking and training shoe with unique visible air cushioned outsole. Air Cooled Memory Foam insole.